It has been more than a year since we last linked with the trio and since their newest visual for their single "Work For It" has everyone buzzin, we thought it would be appropriate to sit down with these bad babes and have them takeover the site all month long. Back in the 90’s and early 2000’s, girl groups were EVERYWHERE and I personally loved listening to them, and finding a piece of myself in each woman. Relating to their sisterhood while simultaneously fighting over who got to perform which part at the slumber parties – for the record, I was always Kelly. 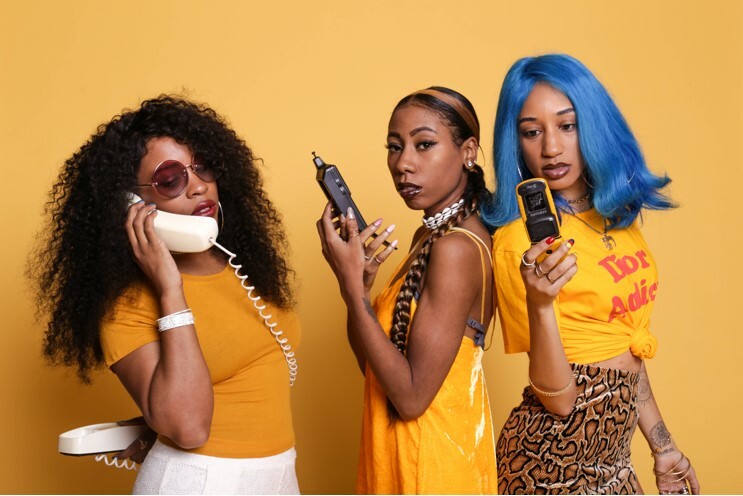 Over the last few years, girl groups have become harder to find but Thr3ee – which stands for Balance, Equality, and Harmony – is bringing girl power and sisterhood back on the map and we are totally here for it! It has been more than a year since we last linked with the trio and since their newest visual for their single “Work For It” has everyone buzzin, we thought it would be appropriate to sit down with these bad babes and have them takeover the site all month long. 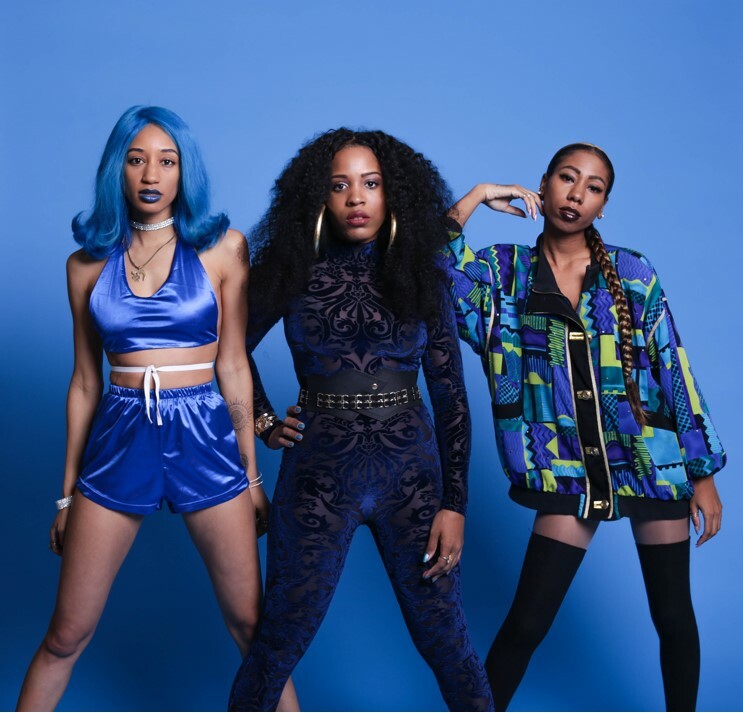 Since the last time we sat down with Deborah, Tamika, and Brittani,, whose musical influences include Destiny’s Child, TLC, and Total, so much has changed. They put out their first video ever, – “Work For It” – their music is now available across larger platforms, their voices have grown, and they are continuing to put in work in the studio. 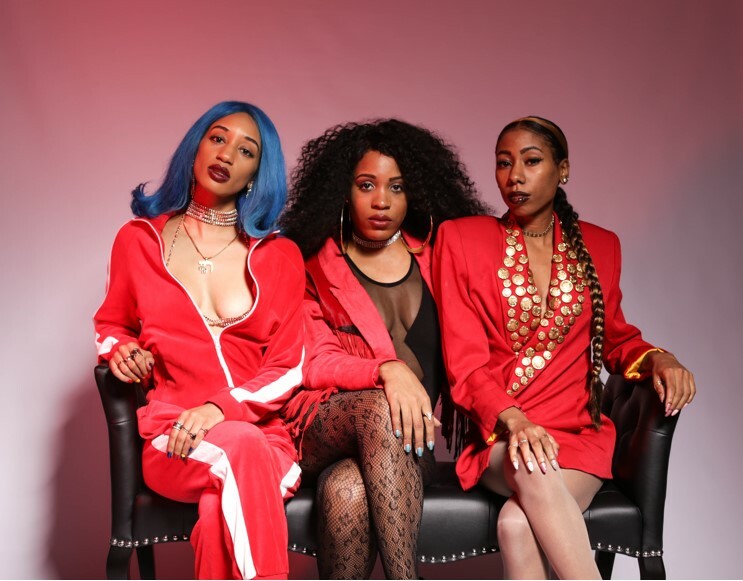 Their newest ladies anthem “Work For It” is definitely filled with girl power vibes, and the visual, which is heavily influenced by Destiny’s Child’s “Bills Bills Bills” is raw, unfiltered, and eye catching. With their music, this powerful unit hopes to get people to look within for their strength. To truly understand their importance and to never let anyone – including themselves – allow you to feel less then. They are focussing this message on women, hoping that their music will allow them to understand the power that we hold, and to use this power to change the world for the better. The Bay Area has a major influence on the kind of sound that they make, their actually pretty hyphy, which is also why I love. I mean who doesn’t love some bad babes that can get gutta in a moments notice. Thr3ee has so much coming up for you so I really suggest you all get ready, and prepare to get your edges snatched. No seriously, it starts off with the Nook and Kranny takeover, but their nation wide and global takeover is soon to come. Trust us, you should definitely an eye on these ladies.